Well, if you were expecting YB P. Kamalanathan to talk loudly, then you didn't know the Deputy Education Minister. Responding to the series of articles published by a local Tamil daily that were blatantly smearing and even defaming him ahead of the general elections, the loudest YB Kamal got was to tell his attackers that their "half-truths" won't bring him down or demoralise him or demotivate him. "I am very focused in my work," he told The Mole. "I will complete the tasks that have been given to me." The tasks here are to deliver the Tamil schools that Najib Razak had promised to build. Since 2009, the year he was made PM, Najib has set aside close to RM1 billion to build and rebuild these schools. The anti-Kamalanathan Tamil daily has blamed the deputy Minister for failing to deliver but based on what he's told The Mole, that isn't the case at all. On the contrary, Najib's Administration has kept its word and is committed to do more. 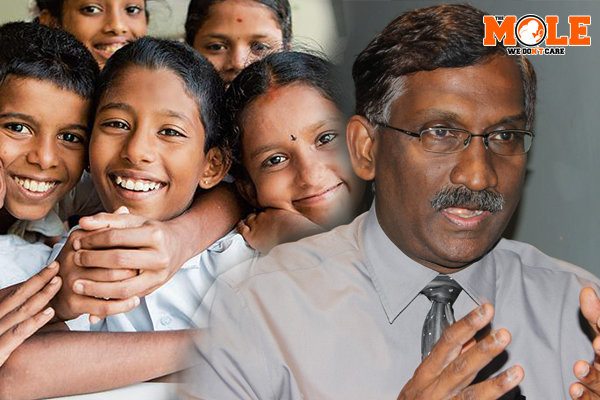 Read Tamil schools not neglected, says Kamalanathan. The incessant attacks on the reputation of YB Kamalanathan by the Tamil daily came about the same time as an online threat to "expose" him for allegedly giving contracts to build 39 Tamil schools to his friends and relatives. Read h e r e.
As the general election draws nearer, YB Kamal will need to harden his resolve and stay focused. Quite a few people think they deserve to be the BN candidate for Hulu Selangor, the seat he's occupied since 2010. Is deputy minister victim of bullying? MIC bootlickers will do anything now as they know no Malaysians of Indian origin are going to vote for them.